This past weekend Jessie and I asked my parents to keep our girls so we could get the nursery painted and ready for Wesley. After all, he will be here in less than FOUR weeks! 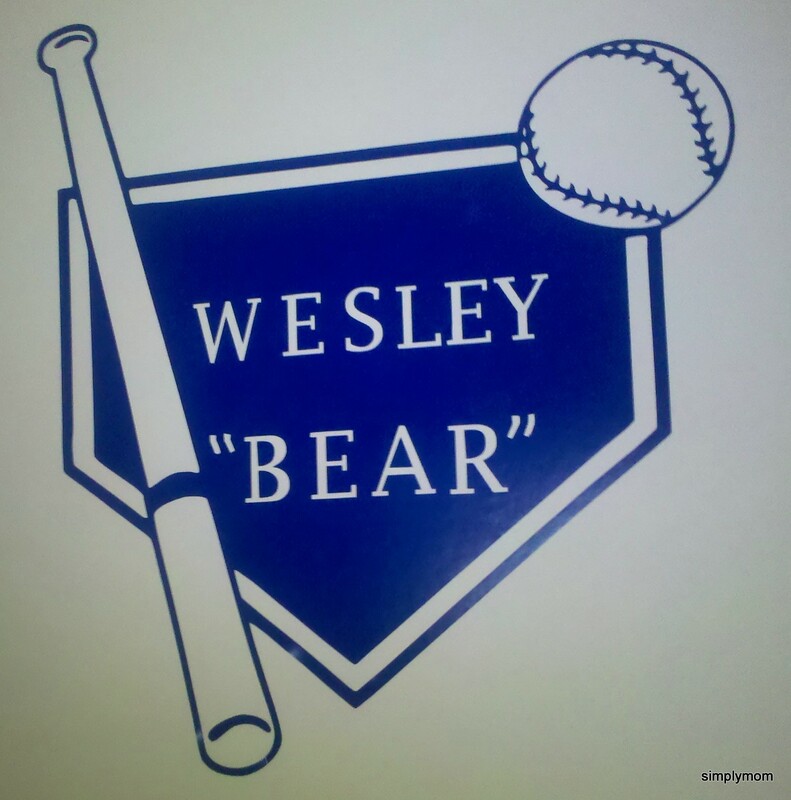 Over the last several months, we have discussed ideas for Wesley's room. We knew we wanted an overall baseball themed baby nursery. We had several ideas that would have been over-the-top awesome, but we had to stick with our most economical idea. And we are really happy with the results! There are a few tiny details and accessories missing, but you can get the general idea. We painted the full wall (right) and upper half of the other walls a creamy tan. We used a slightly darker tan (leftover from another room) to create a seam. Jessie went back and added some shading for "holes" to add some dimension to the stitches. but no chair rail yet. bobblehead on the floor. You can see the finished chair rail in this pic. Overall, we are so pleased with how Wesley's room turned out. Every time I walk by I have to peak in or go look around for a minute (I know that Jessie does it too). Now, that his room is complete, we are looking forward to bringing our little man home! I couldn't resist...I have to include a picture of my diaper bag that I am super excited about using!! Jessie surprised me with this bag for Christmas! 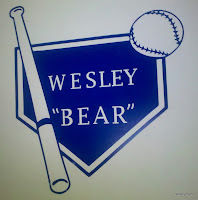 While in the hospital, I asked the nursery if they could get Wesley's handprint on a baseball I brought with me. The nursing staff at our hospital was so great...have been for all three of our children. They got the perfect print of Wesley's little hand! I want to have a plaque made with his name, birthdate, birthweight and length. But for now, this is how it is displayed in his room. you guys did an amazing job on the walls! i'm so impressed! wesley is going to be here so soon. i'm so excited for your sweet family! Lowes Valspar Signature Colors, interior eggshell: "Holmes Cream" (upper portion of wall and baseball accent wall), "Royal Navy" (lower portion of wall with chair rail). For the red "threading" we bought a half-pint Olympic sample. I think it was less than $5 for the sample and it didn't take much. The red was satin, "Apple-a-day". I hope this helps. Let me know how it turns out...I'd love to see pics! I love this! My son plays baseball in the Houston Astros organization. We are baseball crazy family. Thanks so much Sondra! You know, the first baseball game I ever went to was at the Astrodome! So cool! My son is 4 and is obsessed with baseball. I may have to try this sometime. I love this design! It looks beautiful. Great job! Love, love, love this! I can not wait to do this in my sons room. He LOVES baseball! Thanks SO much for sharing this. I absolutley LOVe it! It would look GREAT in a guys office or "mancave"! LOVE LOVE LOVE this. I can't wait to try this as well. I think this will be my sons birthday present for his 4th birthday. Such a great idea. Thanks for sharing. this is so creative and so well done !!! Wow, what a supercool design for a boy's room!! I don't often comment on blogs, but I was directed to your blog from someone else to see pics of the nursery. I thought it was great, and I just loved the baby handprint on the baseball. Precious. I went on to read "About Me" and was even more impressed. I think your proclamation of loving the Lord and not being ashamed to share it is so refreshing! That is so nice, thank you. I love his little handprint too. ;) I'm so thrilled that idea actually worked...something to cherish for a very long time!! Love this idea! My grandson is almost 5 and this would be perfect for his room at grandma and grandpa's. We are die hard Braves fan - Chipper is our man! Where in the world were you able to fine a 3ft Chipper doll? I would love to get one for my husband! I am sooo going to do this in my son's room!! Can you tell me about adding the dimension and the holes? I'm not sure how to do that. Sure! If you look really close at the line on the pic of me painting the red slashes, you can see 2 tiny pencil marks every 4 inches. After I painted the stitches, my husband decided to go back with the darker tan we used for the line and dab around the outside of the stitch so it looked like a hole. It's not perfect, but it was a fun project! 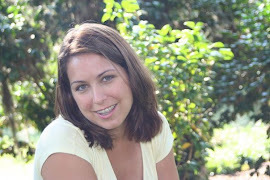 I have never commented on a blog before but came across yours through Pinterest. I LOVE LOVE LOVE this idea! 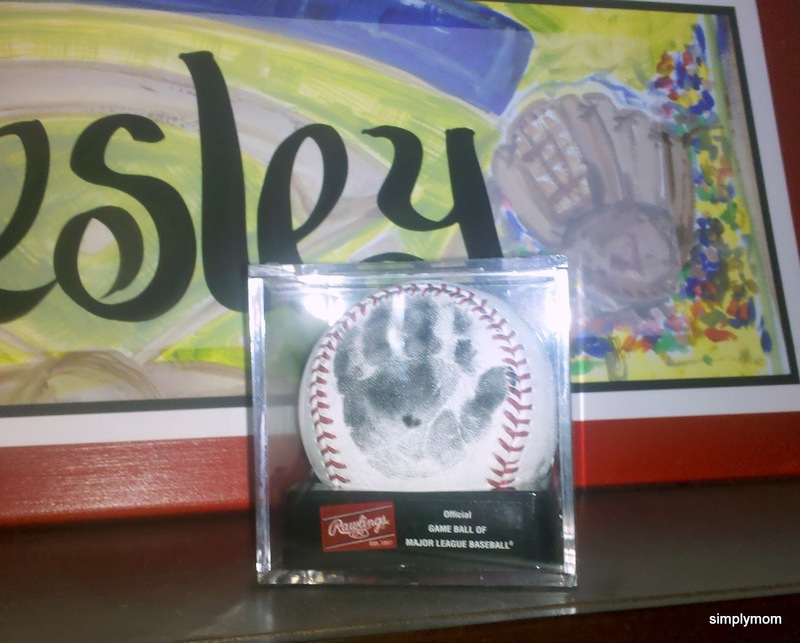 You both did an awesome job...the hand print on the baseball was such a cute accessory that will last forever! I'm preggo with our second which is our first boy and I'm going to totally copycat this! Thank you for sharing your darling creativity!! I was soo excited about the little handprint idea. I had our family & friends sign another ball at his first birthday. And I plan to do other special baseballs for his "collection" as he grows up. This is simply ADORABLE!!! Thank you for this!!! I'm thinking it will be perfect for my 2-year-old son!!! Thanks for sharing. Where did you find the sports bedding?? Great job on the room, I love it. Thank you. We found the bedding at Babies R Us. I don't know if they still carry it, we bought it at the beginning of 2011. I hope you find some you like! Love this!! Just bought a sports themed bedroom set for my son all because I want to paint this on his wall to go with it! Thank you for the inspiration!! Found this on pinterest a few days ago and i finished recreating it today in my son's room. It was already a baseball themed room but was missing something. My three year old LOVES baseball and loves his "new" room!! Thank you so much for sharing this awesome idea!!! I wish I could post a picture. Found you on pinterest like everyone else :) Have a question about how you came up with the angle / curve of the seams... did you use a protractor or just free hand it? This is a great idea! I'm planning to surprise my 6 year old son with a bedroom makeover while he speeds the weekend with his cousins. How long are the stitches? I see they are 4 inches apart, but how long are they? Thanks for the wonderful idea and all the wonderful hint! this is too funny! I just did this same thing with basketball threads. I saw that you did the baseball so I decided to do each wall a different sport. I was so trying to figure out the arch and did the same thing before reading your blog. Great idea! Nice work. My son loves, loves, loves it! I'm doing this for my nephew's nursery this weekend and was wondering...do you think acrylic paint would work just as well? Did you use most of the half-pint that you purchased or was there a lot left over? I'm just trying to get an idea of how much paint I need to get and if the acrylic I already have in these colors would work for the stitching. How fun! I hardly put a dent in the red paint. So, if you have red paint on hand, I would definitely use that. Great idea! I tried this and it so did not work for me! Mine did not look at good as yours! After several times of trying it and painting over and trying again I gave up! Your's looks great tho! Oh no! I'm so sorry!! What seemed to be the problem? Do you plan to try again? I promise, up close mine is not perfect. Well, I don't think it looks as good as yours, but my son loves it and that's what counts!! I pinned this ages ago and was finally able to do it last week... and I blogged about it! Thanks for the awesome idea! Yours looks great!! I'm so excited to see your pictures. I didn't think ahead during our project and didn't get the best pictures, you narrated the process very well. Thanks for sharing! Hello, I've been wanting to do something like this in my son's room for some time but wasn't sure how to go about doing it. So, you can imagine how excited I was when I saw this! I'm very nervous about trying this (seeing I have NO artistic ability) I was wandering about the holes for the stitches. Are they (the holes) are both sides of each stitch? And, the seams, are they the same distance from the wall on each side? Thank you for the inspiration. My son LOVES his new baseball wall. I love this!! You guys did a great job! I have been wanting to do this but am so scared!! If you don't mind me asking, how far down from the ceiling did you start the line on the right and left side of the wall? Thanks! Where did you find a 3ft Chipper doll? My dad gave it to my husband years ago...I have no idea where he found it. My guess would be ebay!? What an adorable room! Wish I had thought of this when my son was little! Wow, what an amazing nursery! Where did you purchase this bedding? where is the bedding from?!?!!? I love it and cant find it anywhere!! Do you still have it? We were looking for it and would buy it used!!! I just found it on the Babies R Us website: NoJo My Little MVP 9-Piece Crib Bedding Set for $199.99. And Babies R Us puts good coupons out there all the time! I hope this helps. Otherwise, I'll talk to my husband and see...if you like, you can contact me at my business email boldimpressionsnow@gmail.com. I showed this baseball wall to my husband a week ago and he ran with the idea. My sons bedroom now has a baseball wall, a football wall, and a basketball wall. Thanks for the great idea. That is AWESOME! I would love to see pictures!! I am in the process of recreating in my 2 yr old sons room. I'm super excited because yours looks awesome! Was wondering how you measured the seams to go down the wall? I thought I seen somewhere to use a pencil and a string? HELP!!! Thx so much! We did the string & pencil method (from the top right corner and bottom left). But it wasn't fool-proof. It was wobbly and hard to make a steady line/curve. But it gave us a starting place. You have to stand back and look at the curves and picture where you want them...even them out as needed. So ours was mostly free-handed. I hope this helps. So SO cute! Hopefully you don't mind us copying you! We didn't do the hole marks or shading though, I'm not patient enough for that :P. Thanks for the great idea, my two year old is going to love it! Love the room and we too are going to re-create it for our 6 year old baseball nut!! Can you tell me the distance between the top of the ceiling and where the line starts for the baseball threading and again for the other side, the distance from the baseboard to where the line starts? Also, can you please tell me the distance between the two center points of the threading? I know that it is not an exact science, but having some measurements will help keep things proportionate. Thank you so much for the inspiration. We just made our own baseball wall in Holland. This was such a great idea that we decided to try it ourselves. We would have never come across it, had it not been for Pinterest. Ours didn't turn out as well as yours did, but I don't think our son minds all that much. Thanks for putting this out there. Good choice of team! Braves Nation baby! Thank You For Sharing! I Have Had This Posted For Months To Do In Our Son's Room , But Finally Decided To Finish Before Baby #2 Comes. I am looking to do the same for our baby's nursery. I would love to do it, but since I'm 27 weeks pregnant, everyone is telling me not to do anything with paint. Do you think I could achieve the same type of result with water based paint pens you can get from arts stores, or washable markers? Did you run into any problem with using paint in your third trimester? Love this!! We want to do the baseball stitches in our son's room. How did you get the curves of the lines to look so nicely done?